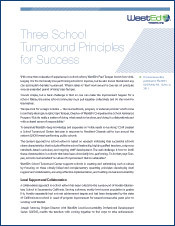 With the goal of developing leaders who could turn around low-performing schools in the Southwest, the Southwest Comprehensive Center at WestEd (now West Comprehensive Center at WestEd) partnered with the University of Virginia’s School Turnaround Specialist Program (UVA-STSP). The initial cohort of schools and districts that participated made remarkable gains. One district in particular stood out: Utah’s Ogden School District. 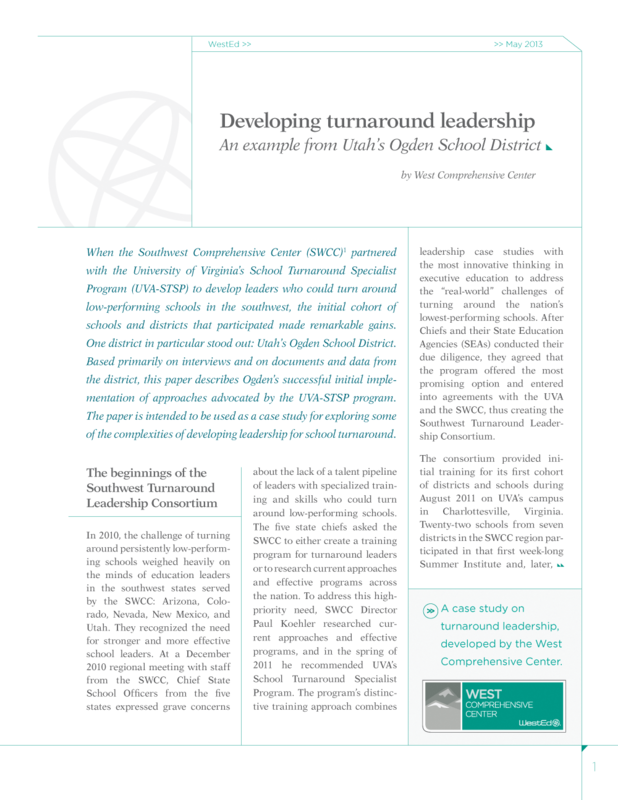 Based primarily on interviews and on documents and data from the district, this paper describes Ogden’s initial success in implementing strategies advocated by the UVA-STSP program. The paper, a case study, is designed for use in exploring some of the complexities of developing leadership for school turnaround. 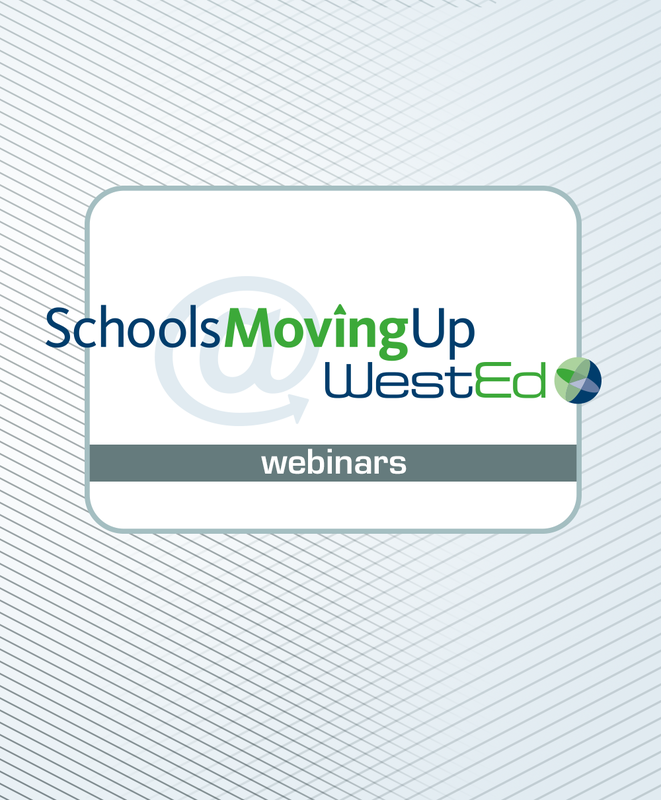 This webinar discusses a research-based 10-step process to define turnaround schools in California, and the strategies most often cited as contributing to nine schools' turnaround success. School turnaround. What really works? Researchers and practitioners explore strategies at the school and district level to improve the most struggling schools.